Sigþrúðr had the stone raised in memory of Kári, her husbandman. May God help his spirit. Þorbjôrn Skald cut the runes. A tricky one to take a photo of. I have to come back here on a day when the sun doesn't shine, so that there's no shadow from the handrail. 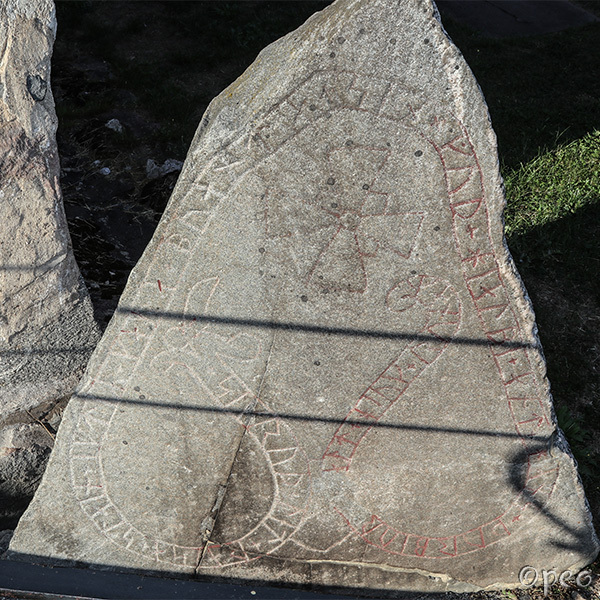 (point at the photo) Then I hope the church will be open, so that I can take photos of the rune stone fragments, that are kept in the porch.